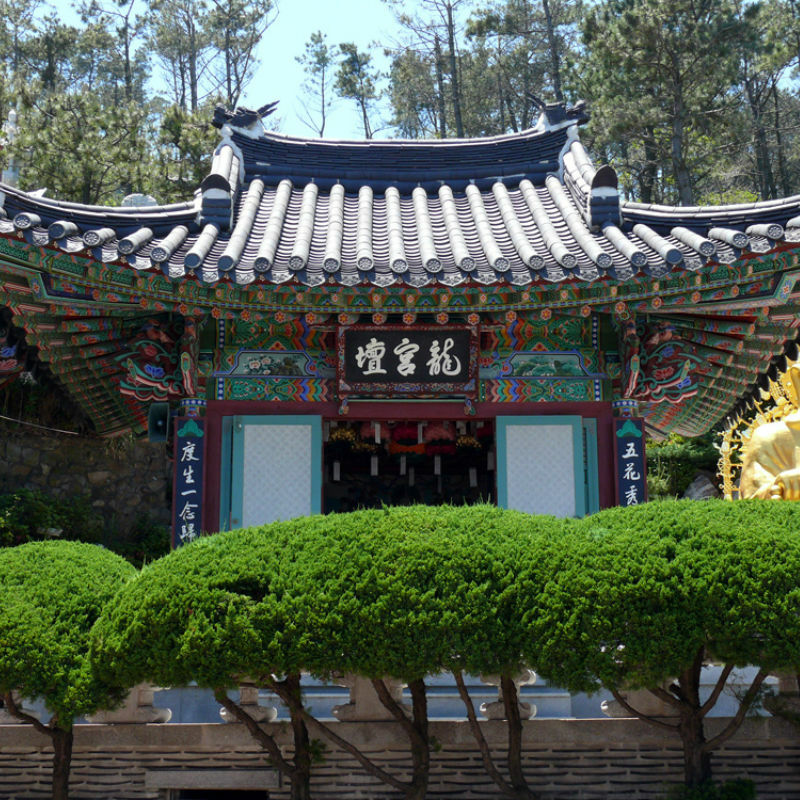 Taejongdae (get the Danubi train included), Songdo Skywalk, Gamcheon Cultural Village and Haedong Yonggungsa Temple. 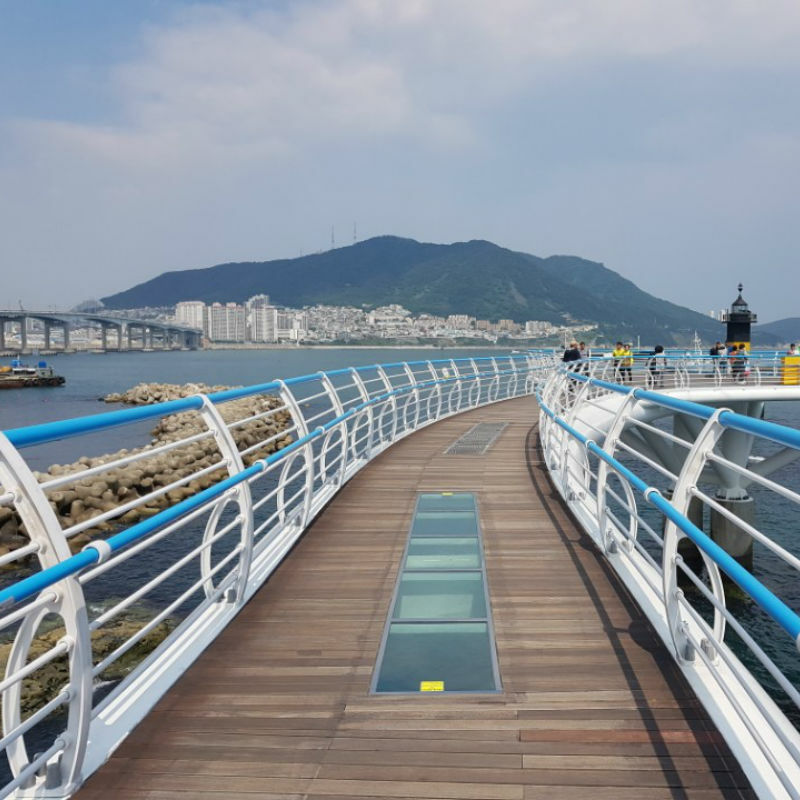 Busan is Korea’s second largest city and one of the country’s greatest travel destinations, boasting of great beaches, unique attractions and a lot of amazing food. 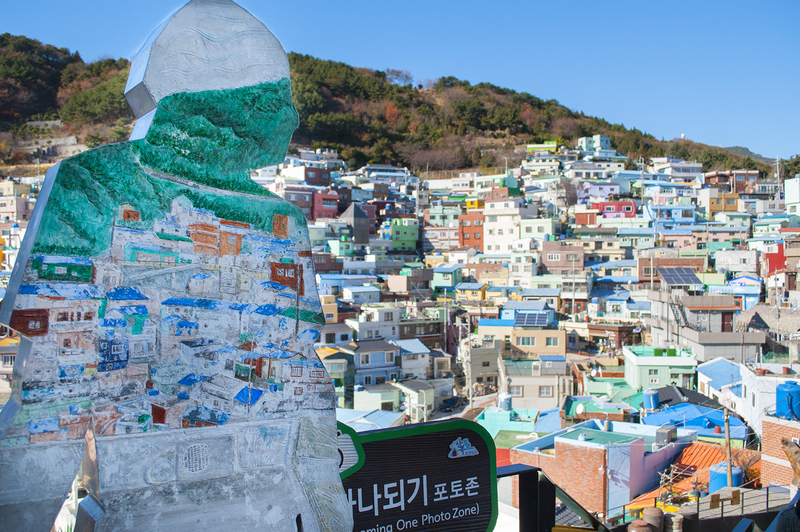 You can join this 1 -day group tour package shuttle that departs from 3 locations in Busan! 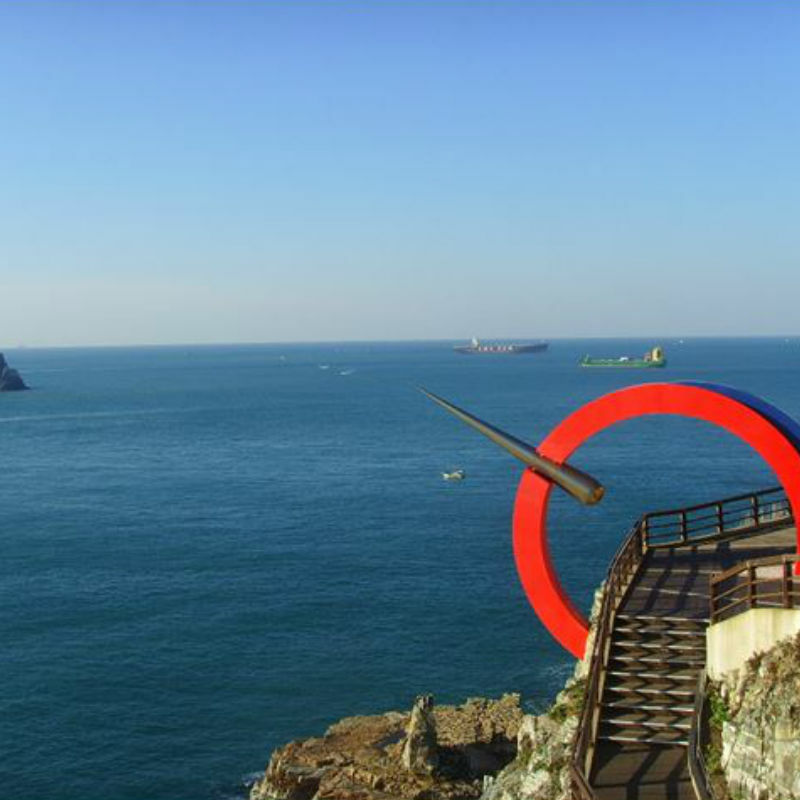 It is the most convenient 1-day tour to explore the culture and modern lifestyle of Busan. Save time do not worry about how to get around Busan anymore. 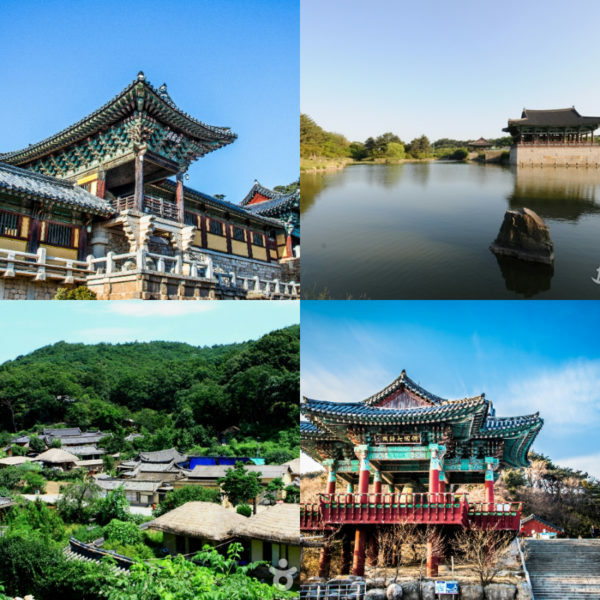 This exclusive tour package will save you the hassle of looking for public transportation to visit these places. Find out more about the itinerary and how to easily book this tour below. 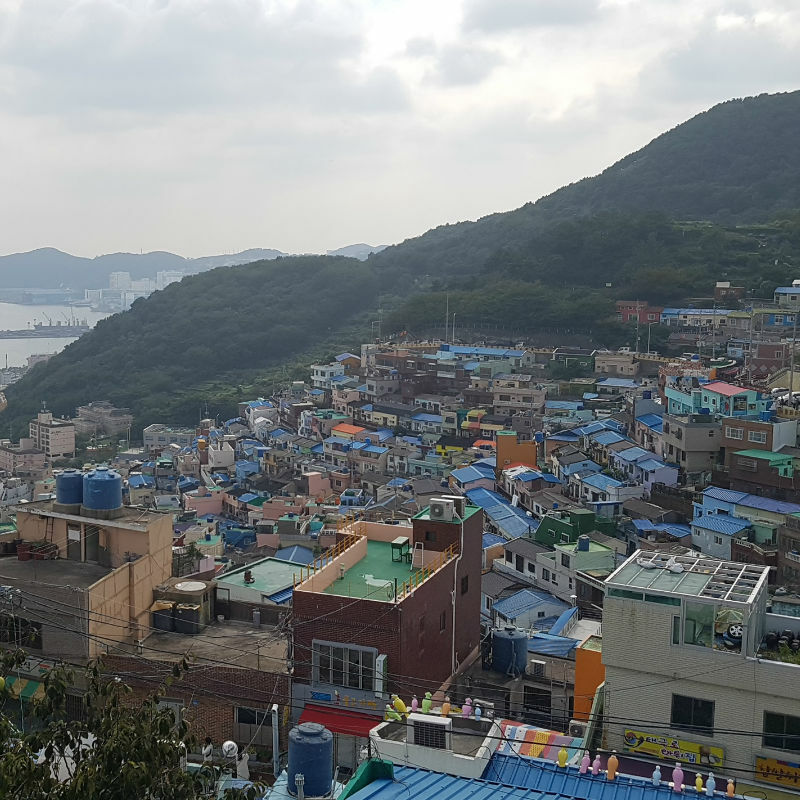 VISIT 4 EXCITING PLACES IN BUSAN in 1 DAY! 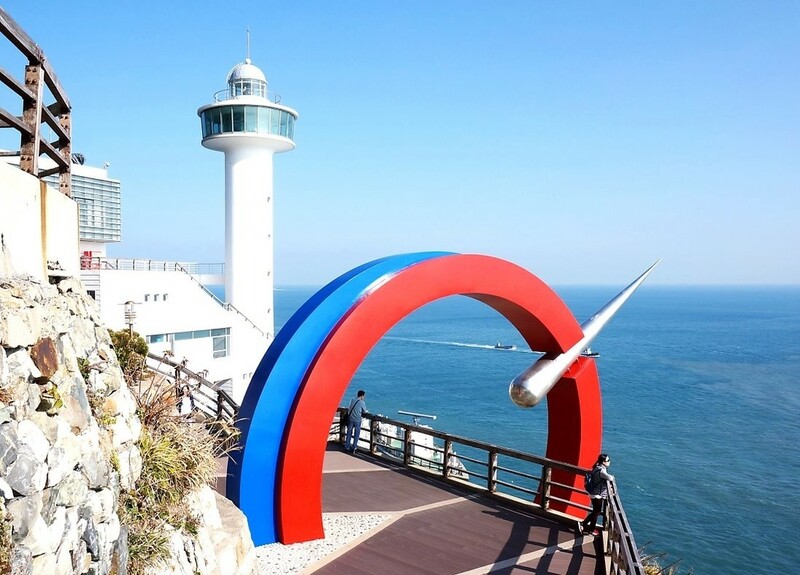 One of the most famous places in Busan! 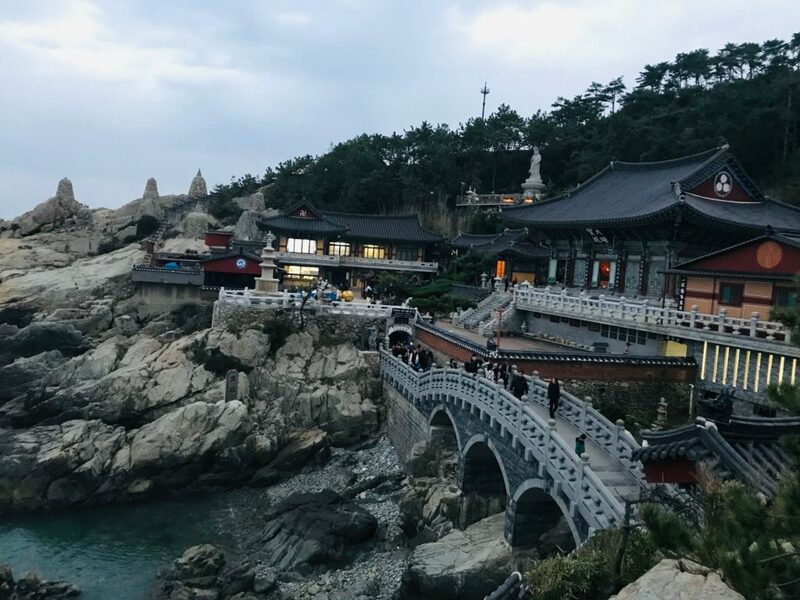 Taejongdae is definitely a must-see in Busan and is especially famous for the lighthouse, observatory, interesting cliffs and its rock beach. 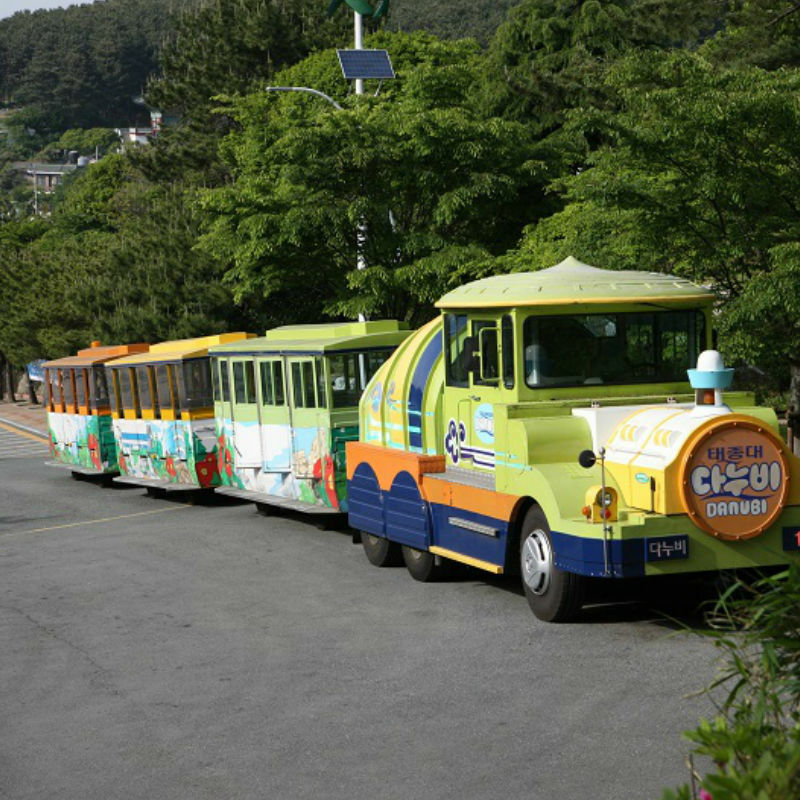 Not to miss out is the Danubi Train (다누비열차), which goes to 5 major destinations in the park. 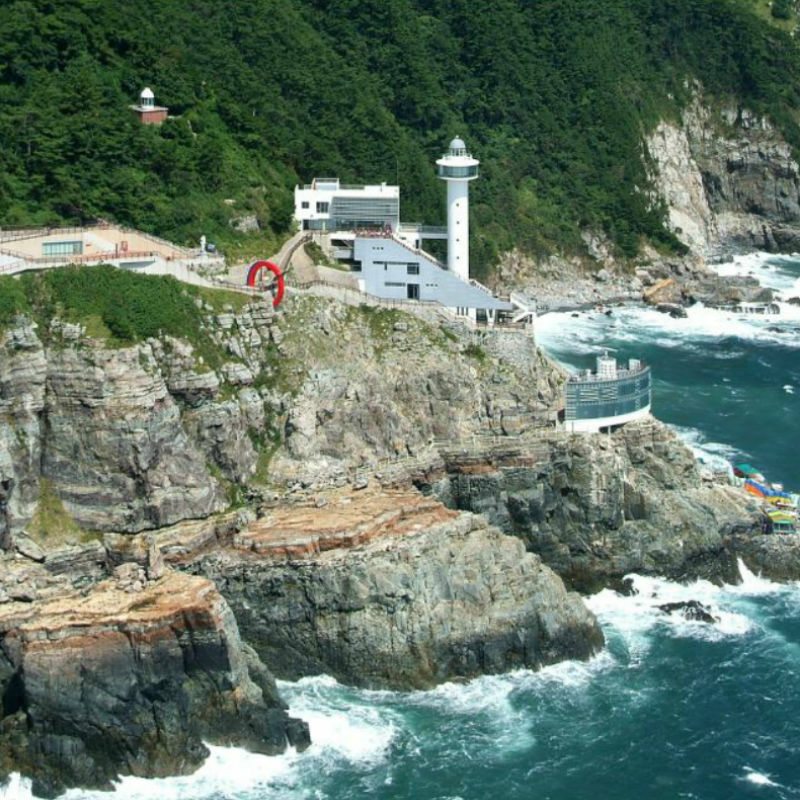 English/Chinese/Japanese and Korean broadcast service are provided along the way so visitors can easily follow the itinerary. This amazing Danubi Train ticket is INCLUDED in this package tour! 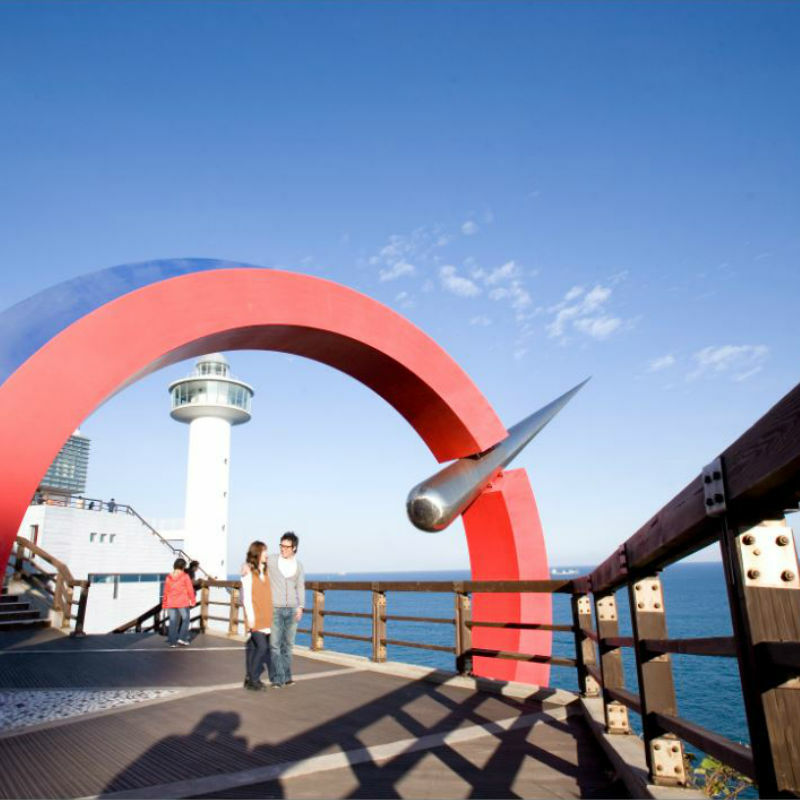 Songdo Skywalk is located above the Songdo Beach in Busan. 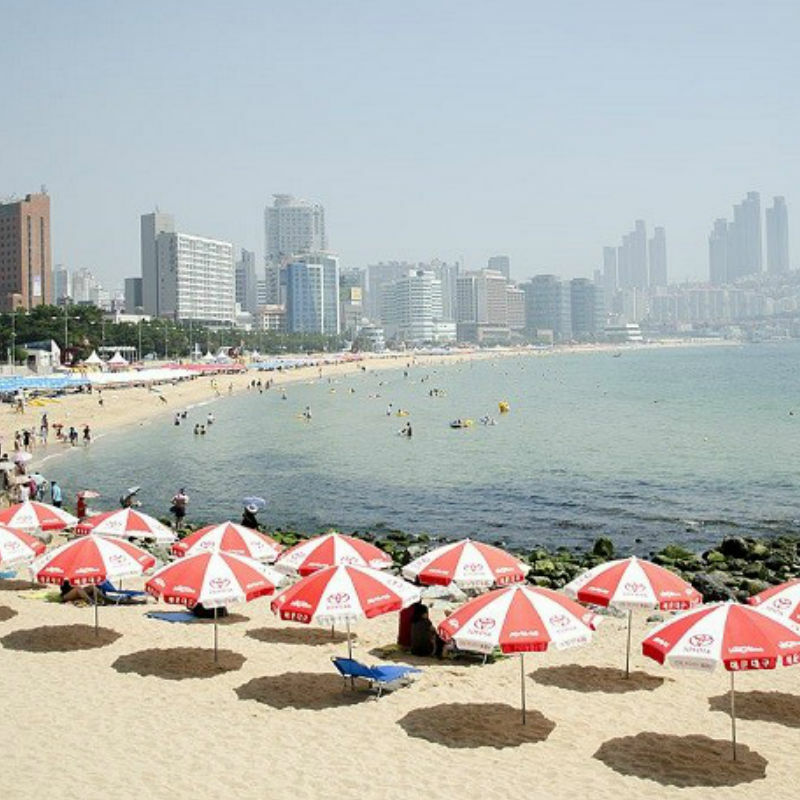 Songdo beach is famous for being Korea’s first beach and with magnificent views. 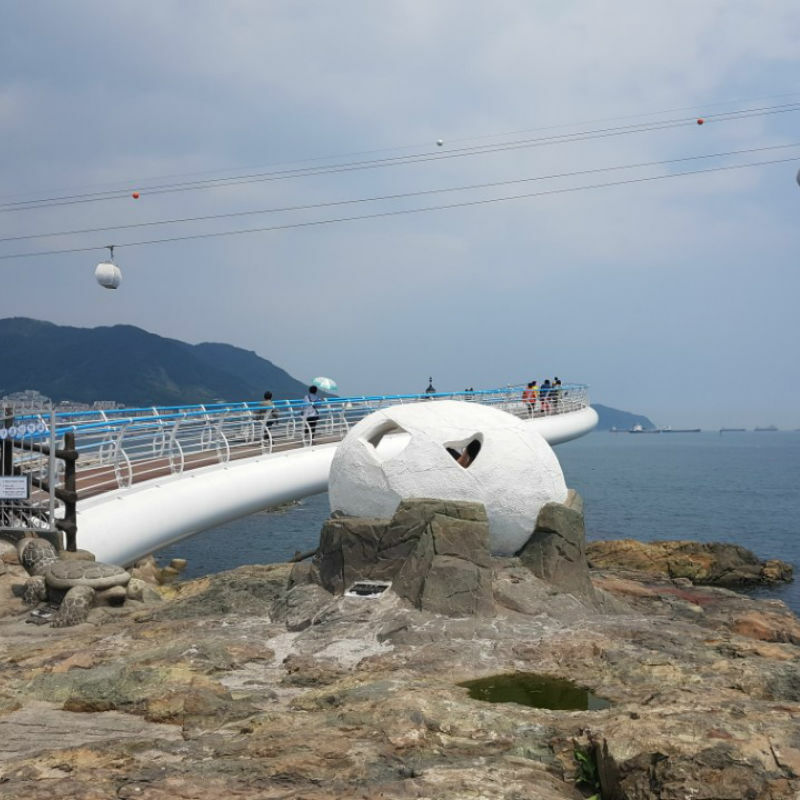 The curved skywalk is 365-meter-long and you can see the blue ocean under your feet while you browse! 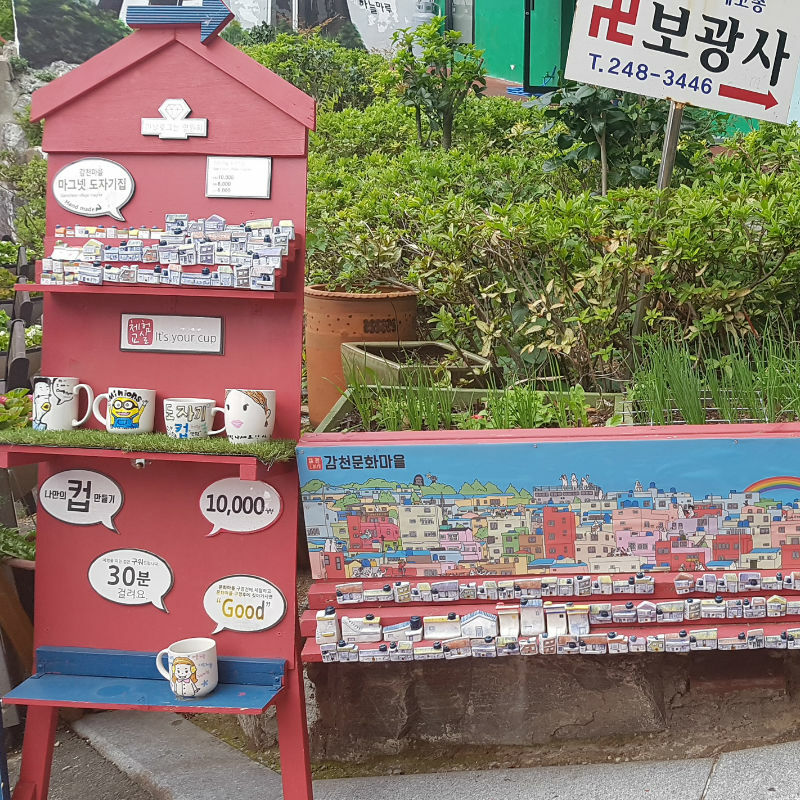 Gamcheon Culture Village is one of the most popular attraction in the last few years. 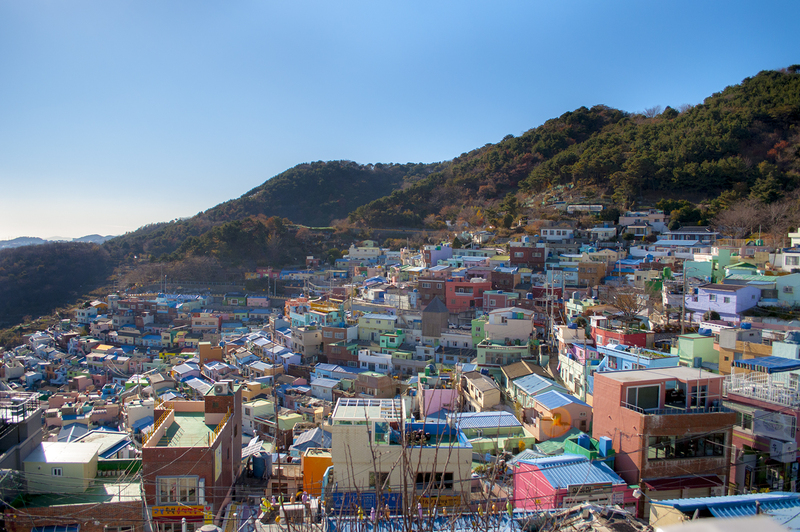 It is special because it has colorful houses built on a hill of the mountain in a staircase manner. 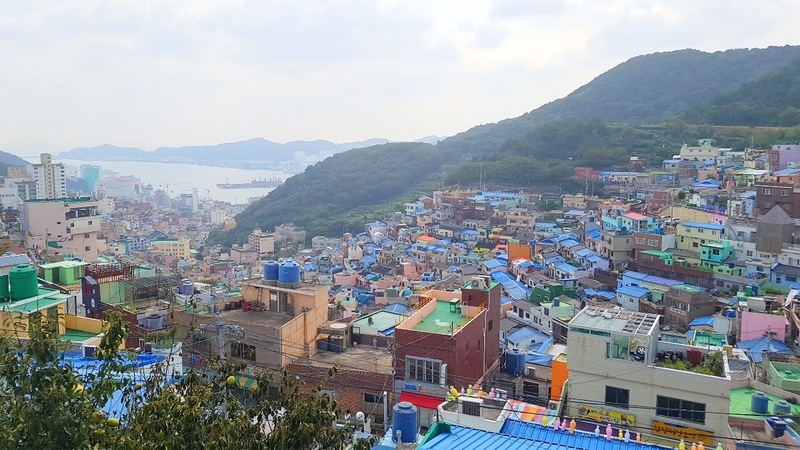 There are many nicknames for the place: “Korea’s Santorini.” “Korea’s Machu Picchu.” “Lego Village.” In fact, it used to be a poor neighborhood and changed by the government into an attraction. 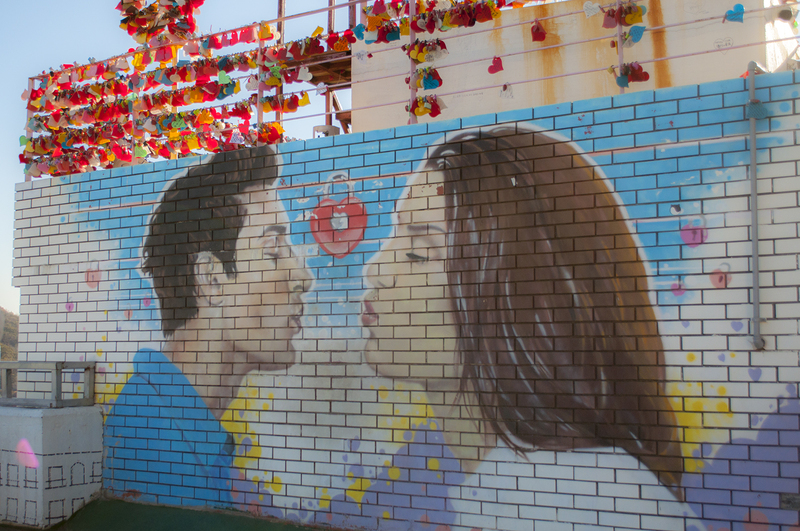 The many alleys and houses in the village are vibrantly decorated with mural art drawings and sculptures. 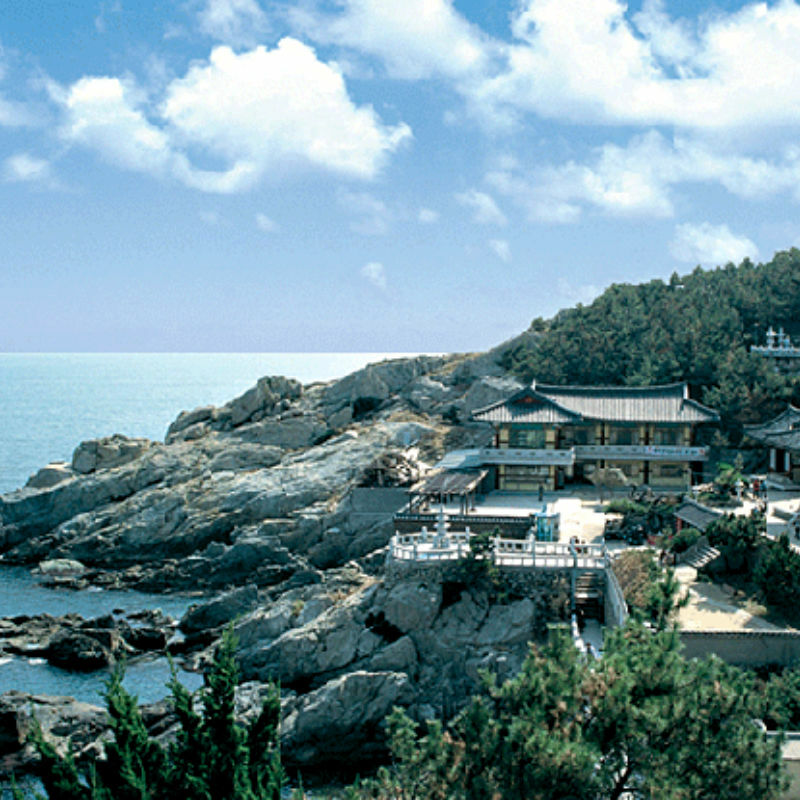 Unlike most of the temples in Korea that are located in the mountains, Haedong Yonggung temple is located by the ocean. 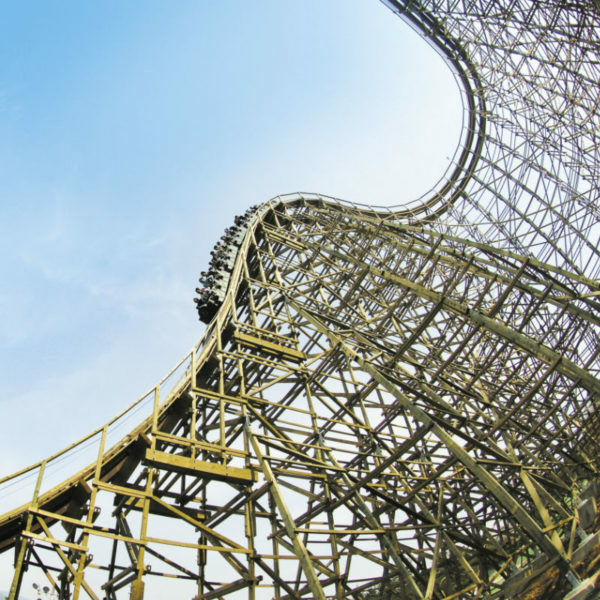 It is a one of a kind in Korea and became a popular attraction. 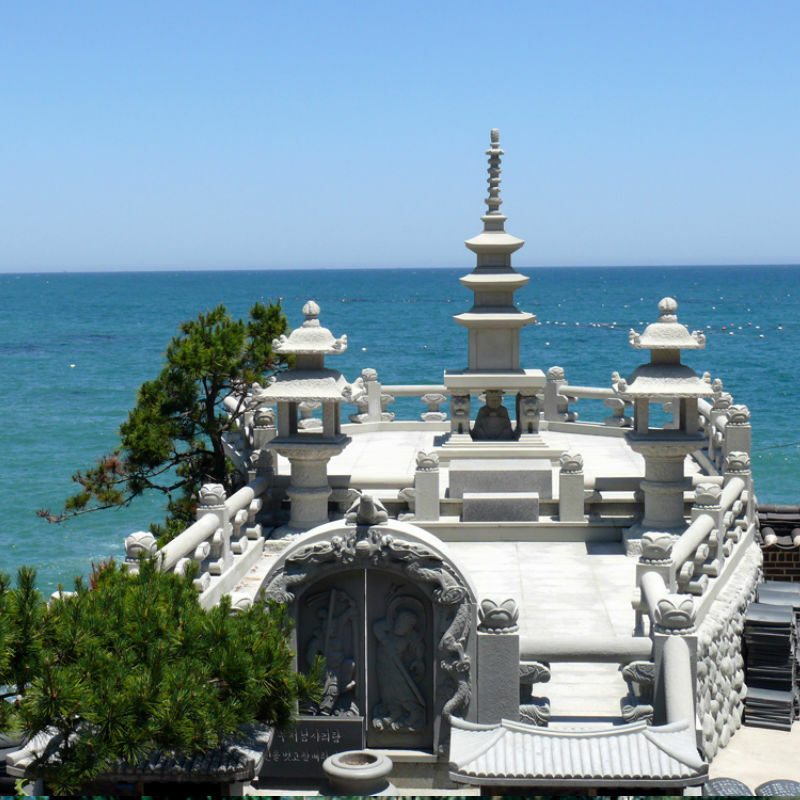 It is especially worth going to as it is a beautiful area with a stunning view of the ocean and cliffside. *Adults and children are the same prices. Children under 3 years old who will not occupy a separate own seat are free of charge. * Taejongdae Danubi train does not run when it rains, the itinerary might be changed to another indoor/outdoor activity to accommodate. Taejongdae Danubi train does not run when it rains, the itinerary might be changed to another indoor/outdoor activity to accommodate. Thank you for giving us 5 stars! Hope you enjoyed the tour. Thank you for the recommendation and positive feedback. We agree with you that this is good for short-term travelers. We hope to see you again in a near future. It was great and enjoy my time plus glad to meet many people. Really great experience and we learned a lot of the history of Busan and the culture. Our guide, Paul and Bong Bong were very helpful and friendly. I appreciate how they keep the group’s energy up and would make everyone on tje tour laugh. More power to them! 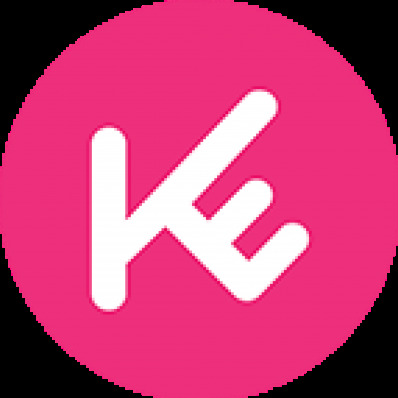 We’d like to thank you for having chosen KoreaTravelEasy and for spending some of your time in writing your nice comment about tour. We are glad your travel with us was satisfying. 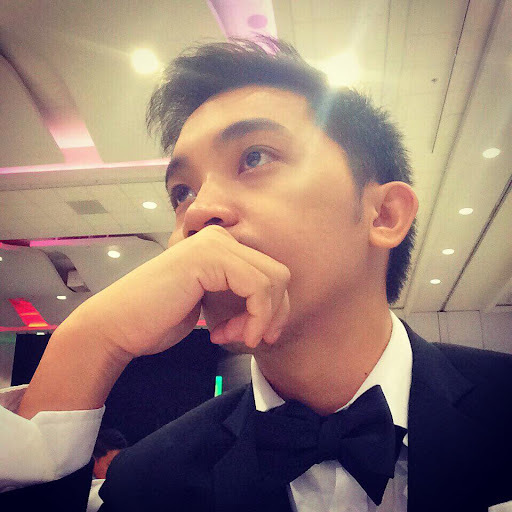 We hope there’ll be another chance to be with you! This day tour is highly recommended. Visited many places in a day and have sufficient time at every stop. Our guides are friendly and can communicate in English / mandarin. Thank you for your kind words and consideration. We are very happy that you enjoyed your time with our tour. We look forward to welcoming you back. Bryant and Ling Ling (our tour guides) are awesome. Clear and informative, attentive and understanding. A worthwhile day tour which covers interesting attraction. Recommended. 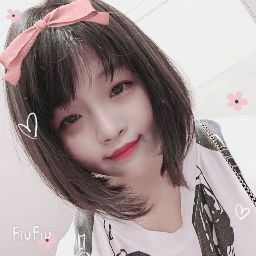 Thank you for your comment and recommendation! We’re glad to hear that. 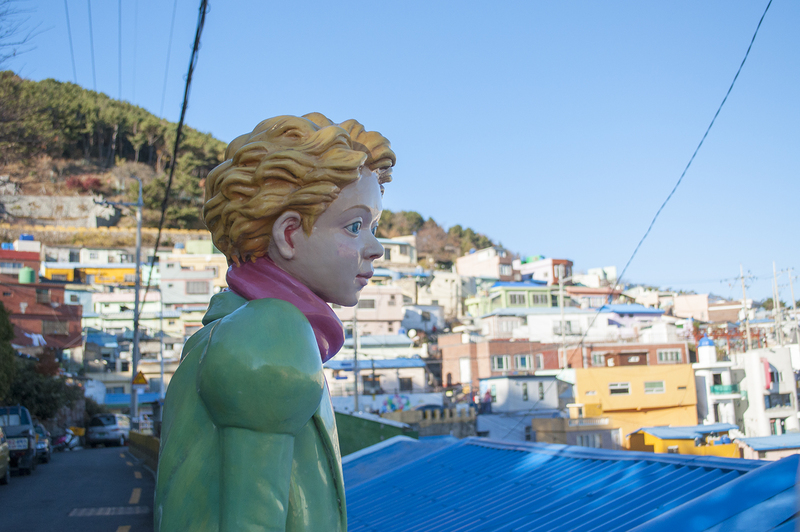 Busan has many attractive places, please do come again. 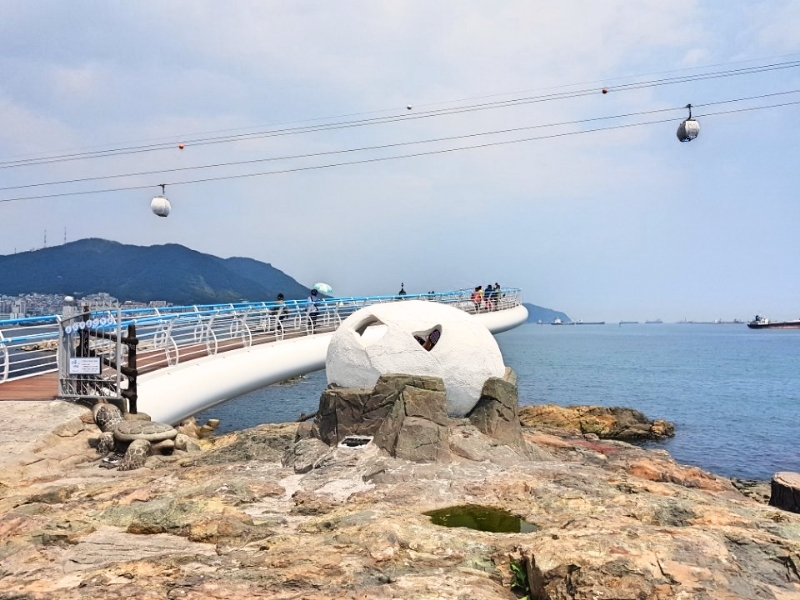 I highly recommend this tour especially to those who have limited time and would like to see as much of Busan as possible! We had Max as a tour guide and he was great! Thank you for the review! So glad to hear that you were satisfied with the tour. 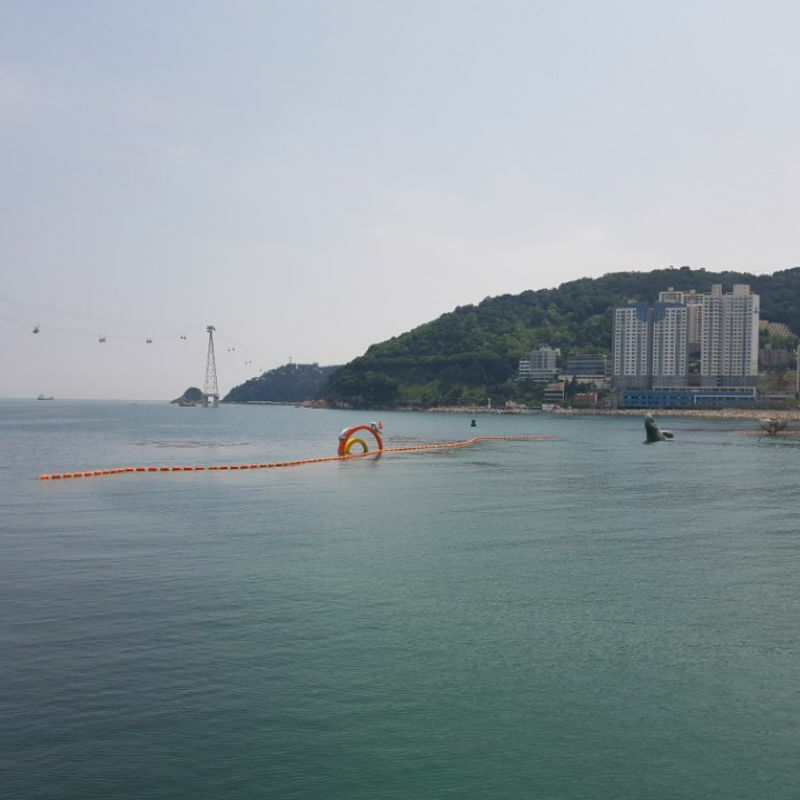 Hope you have a chance to enjoy more scenery of Busan next time!. Logas was our tour guide. He is such an amazing guy. Thank you for your assistance Logan. I highly recommend this package to avoid the hassle. 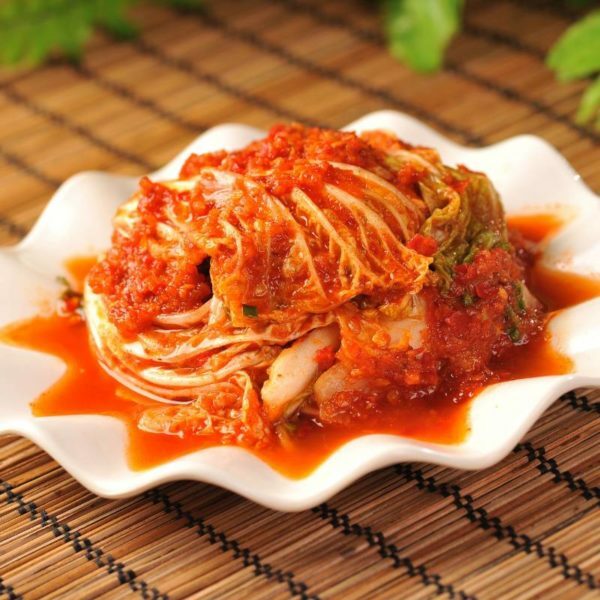 The tour package itself will challenge your energy level so why bother self-venture to get to those places. 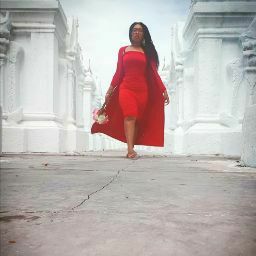 being able to visit 4 places in a day, that’s amazing. I went on this tour with James and we were totally satisfied with what we were given during the whole tour. Definitely, recommend it to my friends! Thank you for your honest review on our tour product. However, we deeply apologize for any inconvenience(s) you may have encountered during the booking process and the tour. As we previously communicated to you through email, your booking came in quite late after business hours which meant, we had to handle the request one day prior to the tour date. Unfortunately, all the tour seats had been booked no matter how much we tried to secure a spot for you. That notwithstanding, we are glad to hear your tour was satisfactory. We want to assure you that, we will continue to improve our services and provide the best and quality experience for our prospective customers. We once again, sincerely apologize and promise to offer you (bonus points/discount) on your next order with us.